Our newest little Nats fan! So, after nearly a 3 week hiatus, i’m back. And what better way to get back into the swing of things than to do a mailbag! 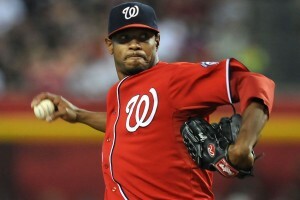 Nats mlb.com beat reporter Jamal Collier was kind enough to post a mailbag last night. (In case you were wondering where I was, we traveled to China to adopt a little girl. 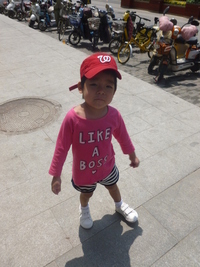 The above is a picture of her the day after we met her for the first time as we were walking the streets of Jinan, the capital city of the province where she was living in an orphanage :-). She’s a natural in the curly-W hat). Q: Any sense of urgency from the front office to get pen support? could we see a trade soon or will Rizzo play it cool and wait a bit more? A: I don’t know how there isn’t a sense of urgency at this point. 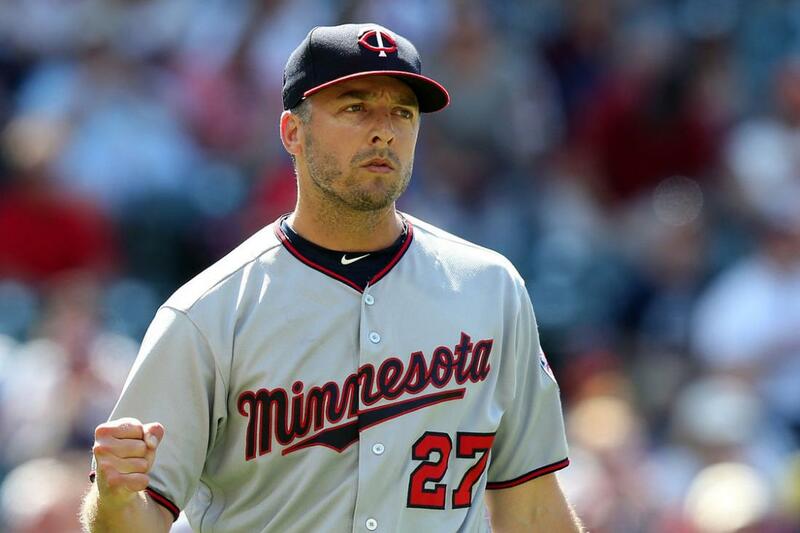 We’re nearly a third of the way through the season and the bullpen is in shambles. 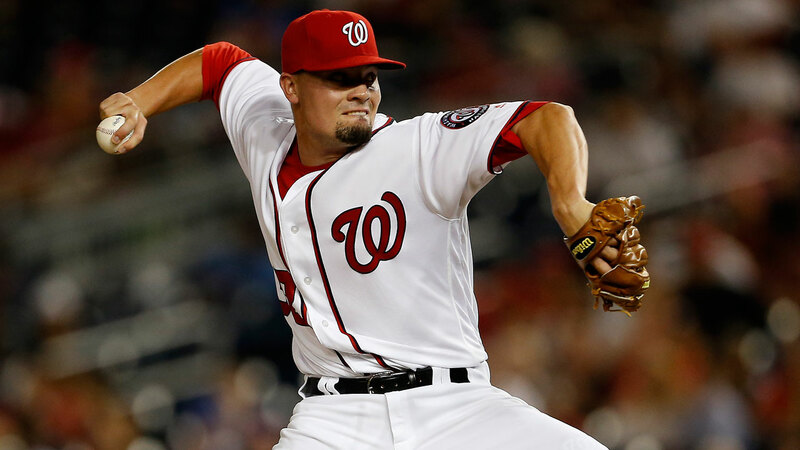 As we speak, the Nats bullpen ranks 29th in ERA, 27th in FIP, and 27th in fWAR. Their best reliever so far in 2017 was a scrap-heap NRI pickup in Matt Albers, who now seems to be closing. Five different guys have saves. 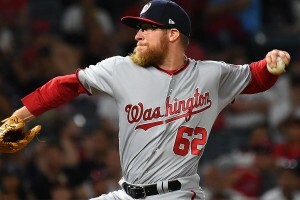 The two guys who we thought would be in the “closer” discussion ahead of the season (Shawn Kelley and Blake Treinen) have ERAs of 6.08 and 7.78 respectively. The bullpen has 8 blown saves already, some of which were really, really egregious (like May 9th’s scuttling of Max Scherzer‘s 8 inning shut-down effort in Baltimore). But its not exactly trade season yet. You very rarely see trades during this time of year; front offices are preparing for the draft. Then they’ll spend most of June negotiating with draft picks and making roster decisions on short season squads. Then there’s the International Signing period leading up to the beginning of July. Then there’s the all-star break. Only THEN do you really get into “trade season,” the period in-between the all-star break and the trade deadline on 7/31. So I’d be kind of surprised to see the Nats pull off a trade right now. More likely you’ll see more of what they’re doing with Erick Fedde: looking at their AAA and AA teams and wondering who might be able to help. Fedde could be a nice little 7th/8th inning helper, kinda like Koda Glover was last year. Perhaps there’s another starter down there who might make sense to do the same in a pinch. The team still has several options in AAA and on the 40-man roster that they’ve yet to explore: Austin Adams has 31 Ks in 19 innings with a 1.42 ERA for Syracuse so far in 2017 …. to go along with 17 walks (but hey, Enny Romero was able to fix his walk issue, right?). Trevor Gott‘s numbers aren’t awful. So perhaps there’s some options. Oh Side note; the rumor that the Nats had a deal with the White Sox to move David Robertson (AND salary relief!?) for Jesus Luzardo and Drew Ward? That came from Bob Nightengale from the USA Today, who is one of those reporters who seems to get a lot of “anonymous quotes” from unnamed front office types looking to air dirty laundry, especially from the slimy Chicago White Sox organization (go google his reporting on the Adam LaRoche situation for a decidedly pro-ownership take on that whole situation, trashing the player without anyone taking any credit for the quotes). So i’m not sure how much credit to give it. But if its true … then you have to scratch your head as to why the Nats didn’t pull the trigger on that one. Ward is a limited prospect, completely blocked at the MLB level and who is Rule-5 Eligible this coming off-season and Luzardo is a lottery ticket coming off TJ surgery who has yet to throw a pitch. I’d have made that deal in a heart beat; you’re telling me the Nats balked because they didn’t get *enough* money coming back? 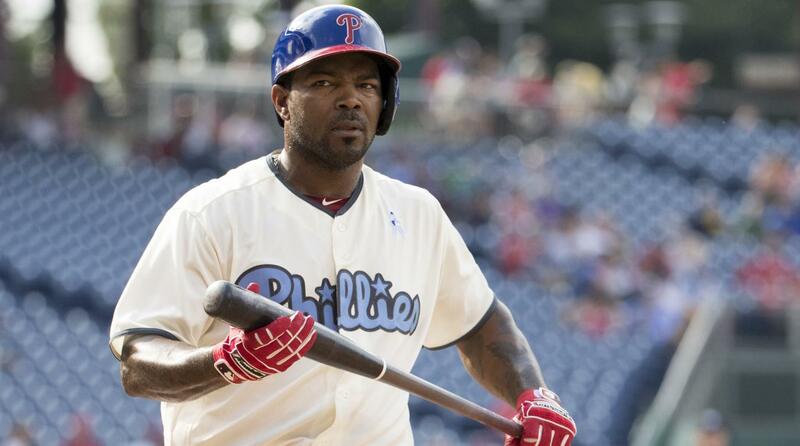 Collier says the team is well aware of the issue, is poking around, but as noted above its two months from the trade deadline so there’s not a lot of urgency from other teams. 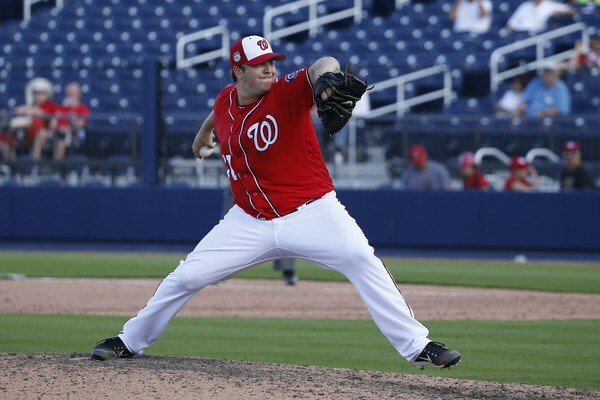 Q: Does Eric Fedde have a chance that to join the Nats bullpen soon? A: Duh, yes. Why else would the team have taken its absolute best starting pitcher prospect in Erick Fedde and put him in the bullpen mid-May? I don’t think it was to see how he liked it. I think it was clearly to fill a need at the MLB level. And soon. I’d say they’ll give him a call as soon as he a) shows he can handle pitching back to back days, and b) he clears the super-2 deadline. When will Super-2 deadline be? Well, its generally been falling in the 2yr, 135day range. So we’re right in the range as we speak of being at the super-2 cutoff; to be really safe, teams could wait until the first week of June to do call-ups and likely be clear of the cut-off. So that works out well; Fedde gets 3 weeks or so in the bullpen, then gets the call. That’d be my prediction. Collier agrees; says absolutely Fedde is coming up in a relief role for 2017 to fill a need, similarly to the way the team moved Trea Turner last year. Q: When can we expect solis to rejoin the team? Collier reports that Solis is not even throwing yet; i’d say we’re at least a month from seeing him back. Not good. Q: Are Trevor Gott, Joe Nathan, and Bryan Harper being considered for call ups in bullpen? A: I discussed Gott above: his numbers aren’t stellar but they’re not awful either. Joe Nathan has been looking his age in AAA: 1.60 WHIP, 5.65 ERA but getting a K/inning. Does this sound like the bullpen savior? Bryan Harper had TJ Surgery in November; he’s out the entire year for sure. So he’s not an option either. Collier notes that both Gott and Nathan’s numbers are from earlier struggles and both have pitched better lately. Fair enough; the team has gotten lucky with NRIs so far this year, perhaps Nathan is another possibility. Q: When is Dusty going to name Glover as the closer? I think it needs to happen. Let him have a real shot since there are no better options. A: Who cares who the “Official Closer” is? You know who has the best bullpen in the Majors? Cleveland. You know who Cleveland’s best reliever is? It isn’t the “closer.” Its time people started realizing that bullpen usage is evolving. I don’t care who the guy is getting the useless “save” statistic; I want my best arm pitching in the highest leverage situations, irrespective of what inning it is. 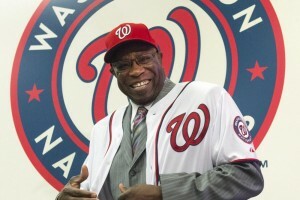 Does Dusty Baker get this? Probably not … which holds the team back. But at least he’s not Matt Williams in terms of bullpen usage idiocy. Right now Glover seems to be pitching well, but Albers is pitching better. So those are my late-inning/high leverage go-to guys. Collier says Baker danced around the issue when most recently asked. Which isn’t a surprise for a team with 5 different guys who have gotten saves so far this year. Q: The RHH bench consists of Chris Heisey (0-14 as PH) and Wilmer Difo (1 PH hit?). Upgrades? A: SSS. You’re grasping at straws if you’re worried about this team’s offense right now. Nats team offense is #1 in the majors in BA, #3 in OBP, #1 in Slugging, #1 in wOBA and #3 in wRC+. For a National league team, that’s astonishing considering that they’re basically punting the Pitcher slot in the order while AL teams have beefy designated hitters in their stead. So if you asked me if i’m worried about the right handed pinch hitting options, i’d say no. Heisey was just fine last year, earned his spot this year, and he’ll be ok eventually. You can’t expect your bench guys to be awesome, all the time; if they were, they wouldn’t be bench guys. Q: With Adam Eaton out even as Zimmerman makes a resurgence doesn’t it make this #Nats team the exact same team that lost in NLDS? A: Not really; last year’s team was good offensively but not this good. 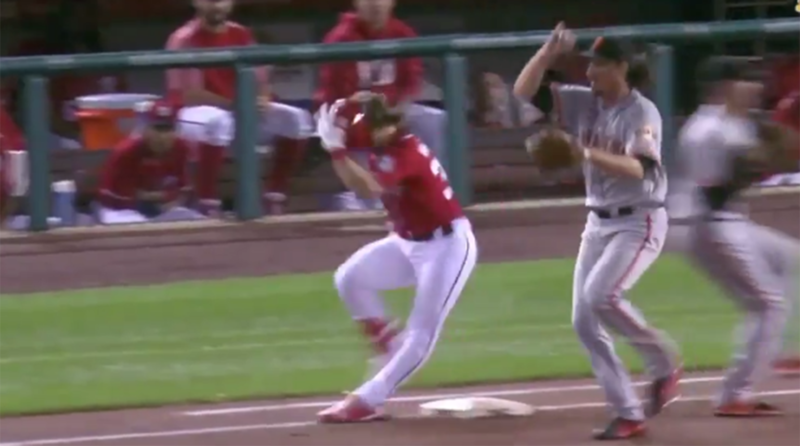 Last year Bryce Harper struggled most of the year; this year he’s back in 2015 form. You replaced last year’s empty ABs given to Ben Revere and Danny Espinosa with theoretically “better” at-bats from Trea Turner and Adam Eaton to start. Even with Eaton gone, Michael Taylor hasn’t been completely awful. But this team won’t go far in the playoffs without some reliability in the bullpen, no matter now many pitchers their starters throw. That’s your concern right now. Collier thinks its pretty much the same team, also noting the bullpen as a weakness. A last gasp mailbox from MLB.com beat reporter Jamal Collier, starting off with the question on everyone’s mind…. Q: Dusty says the Nats have basically chosen their closer, but they have not told the guy. Who do you think it is? A: I still think its the veteran Shawn Kelley to start. Koda Glover waits in the wings though. I don’t like Blake Treinen‘s historic splits against lefties (career .834 OPS) enough to trust him as the closer yet. I say this less thinking about Kelley’s twice-cut elbow, or as any indictment of Glover’s stuff. I say this primarily because Dusty Baker seems like the kind of manager to stick with the “established veteran” until proven otherwise. Collier thinks its Glover from day one. He mentions the organization’s repeated discussion of Kelley’s durability and Treinen’s ground ball rate. We’ll see! Q: I know innings totals are big deal for rookie starters. Not an issue for relievers? I believe Koda has never pitched more than 45 innings. Would a 60-inning season (w/ playoffs) be a concern for a reliever? A: IP workload for relievers? No way; nearly 100% of these guys were starters in HS and College, only converting to relief in the minors due to lack of a complete repertoire or injury. The bigger concern for reliever arms in my view is the ability to go multiple days in a row. Two on, one off, another two to three on, then one to two off. That’s a different kind of wear and tear on arms … but (not to be cynical) that’s why you ride reliever arms like a work-horse; they’re replaceable. Collier says not a concern for now .. but perhaps a concern for Glover later this year since he will be throwing a career high as a professional. A: Well, based on my extensive time watching Nats spring training games (which’d be practically zero), I’m going to recuse myself like a politician who secretly met with the Russians recently. Collier says Turner looks inexperienced and needs patience. Not to call the man out, but that sounds like cliche’d sportswriter BS to me. Turner’s likely been playing shortstop since he was 6 or 7. Yeah everything is faster in the majors, blah blah, but the scouting report on him coming out of college hasn’t changed. He’s got a good but not great arm, good range, good fielding and 70 speed. Q: What impact if any will Fedde have this year and for years to come? A: I think Fedde’s presence at MLB camp easily jumped him to the top of “best SP prospects in the system” line (if he wasn’t already there thanks to the Eaton trade). But it also may have jumped him to the top of the “who do we call up to cover for 6-weeks of injury” list. In reality: I think he gets a couple months in AA, and then either goes to AAA or gets called-up if there’s a rotation spot opening. If someone goes down with injury early then its probably still A.J. Cole, but at this point, I think we may know what we know about Cole. Where this leaves Austin Voth i’m not sure; perhaps Voth is the guy who will cover a spot start in May. Either way, Fedde gets called up at some point in 2017. Collier says he was impressed by Fedde this spring … and that he may have trade value this summer?!? If the Nats trade Fedde, their last remaining “anywhere close to the majors halfway decent” starting pitching prospect, after shedding their other three best starting pitching prospects, I’ll be rather irritated.